Here is a simple method to perform Skanda Shasti Puja at home. You can do this Puja on all six days of the Skanda Shasti Vratam or on the Soorasamharam day. Before beginning any Hindu puja try to create a calm and pleasant atmosphere. Try to keep all the puja items near you. After bath, clean the puja area. First pray to Lord Ganesha for removing all obstacles. Now you can light the lamp and chant Skanda shashti kavacham, Subrahmanya Bhujangam or read Skanda Purana or any tale related to Lord Muruga. You can also perform archana after lighting the lamp or your usual method of daily puja with camphor and agarbathis. 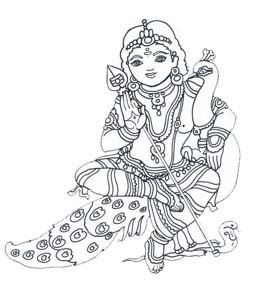 If you have prepared any food (navediyam) you can offer it to the lord and perform Arathi. At the end of the Puja you can thank Lord Ganesha for helping in successfully conducting the pooja. How to Observe Skanda Shasti Vratam - Fasting?